Squish-Dee-Lish are super cute slow-rise squishies that are fun to squeeze. Squish-Dee-Lish are so adorable and fun to collect. They are made of slow-rise foam and are super soft. 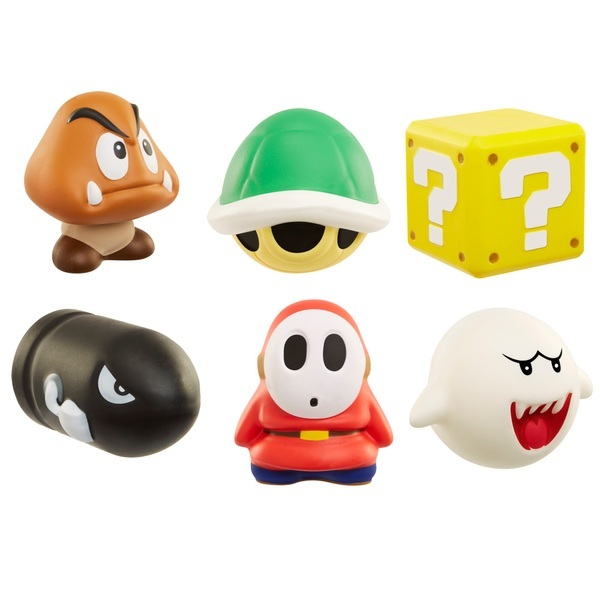 Series 1 includes fun and bright squishy designs like Goomba, Boo, Shy Guy and many more. There are 6 styles to collect in Series 1 and more series coming soon! Collect them all and enjoy hours of squeezing fun! Each one packed in a blind foil bag.